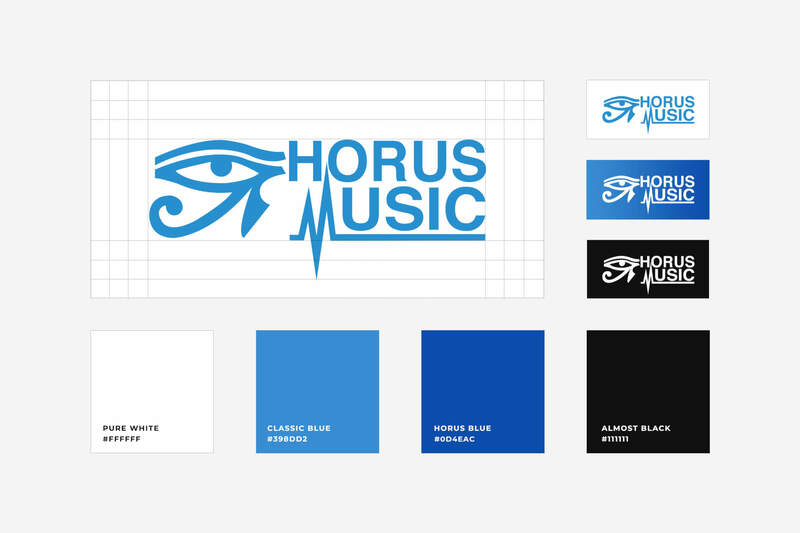 The Horus Music branding is centred around our visual style in combination with out wordmark. It is the foremost tool to represent our brand across all mediums. The primary usage of the logo should be the white fill varient, on our brand blues or black. When appropriate the logo can be placed on an image with appropriate foreground to background contrast. If this is not possible, then the logo must be placed within a container, of which the white space is indicated above. 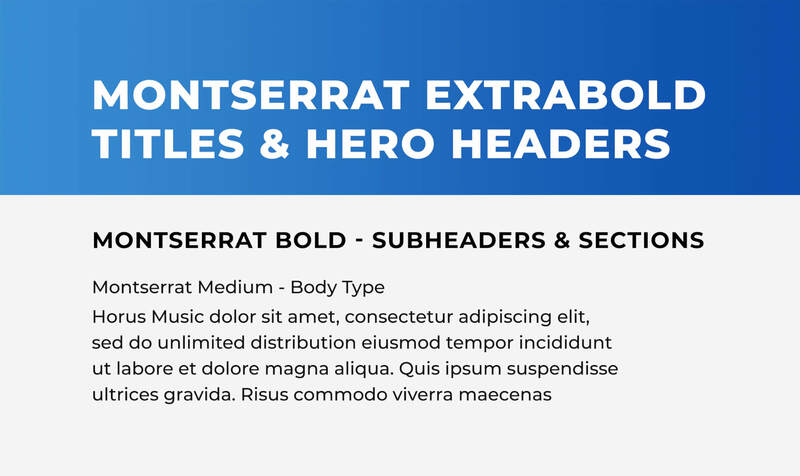 All communications should be set with the Montserrat family of typefaces, which is available from the Google Fonts Repository. General type hierarchy is indicated above, however due diligence should be used when laying out type to ensure the message is conveyed in the most efficient and legible manner. 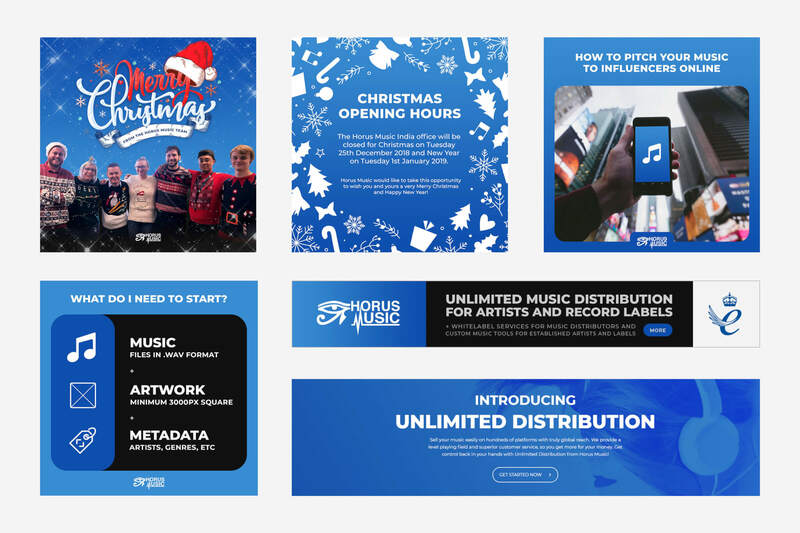 Branded elements can be fluid, with inclusion of photography, iconography and illustration alongside a strong presence of our brand visual with colour and type.